Killer Characters: Lethal In Old Lace Giveaway! Lethal In Old Lace Giveaway! Hi, Reagan Summerside here from the Consignment Shop series here in Savannah. Guess what, I’m getting married! Yes me, bum-magnet Summerside who married Hollis the Horrible is getting married to the delish Walker Boone! How’d I get so lucky?! Well, that’s the good news and now there’s the planning part that everyone has an opinion about. But even that isn’t so bad when compared to the Abbott sisters, my elderly, totally adorable next-door neighbors getting accused of murder! “There’s a hand sticking out of the middle of your garden,” Detective Aldeen Ross said in a calm voice as if she’d come across such things every day. And maybe in her line of work she did! Annie Fritz’s voice trailed off as Aldeen snagged a hand trowel from the wheelbarrow, opened the squeaky garden gate, gave BW her best I am the police so get lost look then bent down. She dug next to the hand, slowed then stopped. She stared back at Annie Fritz and Elsie both now standing on the stoop looking like death warmed over. “Fertilizer?” Elsie ventured in a squeaky voice. See what I mean! Now I’ve got to find the real killer so the sisters can be at my wedding and not just watching it on Instagram! How can I concentrate on this and plan a wedding too! So what’s the worse thing you ever saw at a wedding? Cake fall over? Groom not show up? Bride not show up? Preacher not show up? Let me know and I’ll give away a hardcover copy of Lethal In Old Lace from the responses below! I have never seen anything that would be considered the worse thing at any wedding. I've only been to a couple of weddings actually and thankful nothing bad happened. A very drunk groom. Could hardly stand up for the vows. Much repetition before he could get his words out. The bride and groom decided to get back at their families by wording the whole service as a slap to the parents. Clergy advice to reconsider was ignored. They wanted it as it was. Then the day of the wedding arrived and the groom realized what a terrible idea it was. He passed out at the beginning of the ceremony. At my sister's wedding years ago, the priest wore red white and blue tennis shoes that were clearly visible under his religious robe. worse wedding disaster is one where the cake was knocked over by the groomsmen dancing (at least that is what they called it, it looked more like an aerobic exercise). it was a mess. I think the absolute worse thing I've witnessed at a wedding has to be the ex-boyfriend showing up. 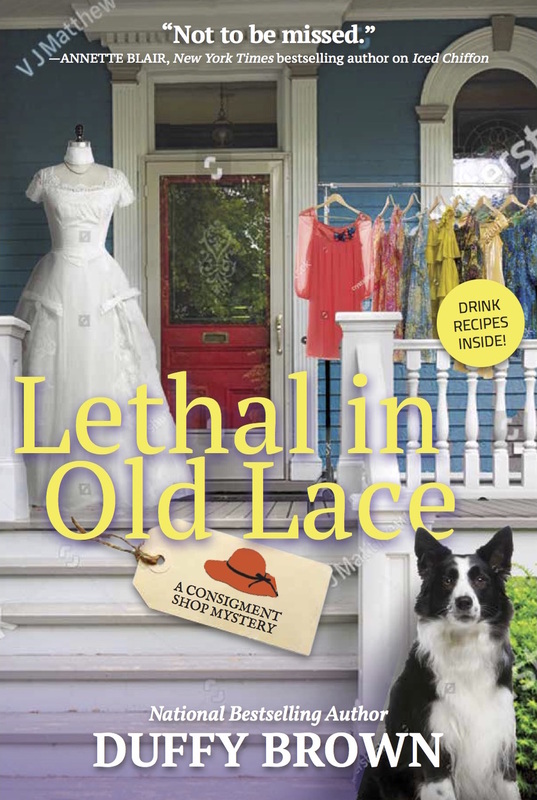 Thanks for the chance to win a hardcover copy of Lethal In Old Lace. I would be beyond thrilled to be the fortunate one selected. happened at my own wedding....one bridesmaid tackled the others to get to the bouquet I tossed....awful! I've not seen anything bad happen at a wedding, but one of the groomsmen fainted at my parents' wedding. It was an outdoor wedding & really hot. The groomsman was also hungover. My sister and I laughed all through her wedding at the courthouse! I've not been to a wedding where something awful occurred---thank goodness! Cant wait to read this one! I watched my 4 year old son walk down the path over a creek on an old wood bridge carrying the rings and then the inevitable...the rings fall off. Thankfully, what could have been a disaster of epic proportions (I blame the sister-in-law who didn't sew them on like she said she would), the rings fell on the plank and not between the planks. My son reached down and at the urging of his flower girl sister, kept walking. He handed the pillow to his soon to be aunt and the rings to his uncle. I still shudder when I think of that moment. You know how the guest hit their glass so the bride and groom kiss? Well apparently one of the groomsmen hit theirs too hard and when he went to take a drink he swallowed a piece of glass. That put a big delay in the bride and groom doing all their fun stuff at the reception. Oh, I would love to win a copy! The worst thing I ever saw was at an outdoor wedding were a dog ran off with the cake. It was really more funny than bad, especially since the wedding cake was a particularly dense fruit cake confection the bride’s great-aunt had made and the dog only made it about 20 yards before the weight made him drop it. He took one bite, chewed for a minute, and spit it out, and then turned back to the buffet table to try for something tastier. Those of us who had been forced to suffer through Great-Aunt Margaret’s fruitcake before all secretly cheered on the dog and several of us snuck treats to the dog for the rest of the day. All the weddings I have attended have gone as planned. I attended a wedding where the groom groped an unsuspecting female guest...Just 10 minutes after saying, "I do." I can't think of anything terrible happening at the weddings. The worst came in the years after. I would love to read this book, thanks. One of the worst things I can think of happened at my first wedding. We had just family and a few friends and my parents paid for a nice meal at a nice restaurant and a case of Asti Spumanti for toasting. My ex-husband had 5 brothers and sisters. They all ordered prime rib dinners. Shortly after ordering dinner one of my new sisters in law asked how long before the food would be out as they had to go to a wedding rehearsal. So they took their dinners home in a box. The other 4 siblings helped themselves to bottles of Asti and cleaned the case out pretty quick. It was that day I realized I married into a northern red neck family. (We're from Michigan.) My mom and I talked about it for years and were still in disbelief. I really can't wait to read this book. 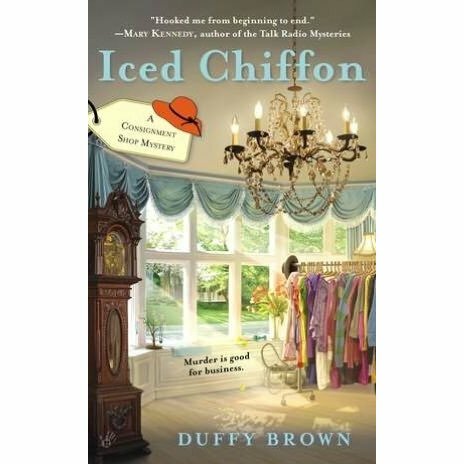 One of my favorite series and author! I've never been to a wedding where anything noticeable went wrong. We were invited to a wedding that never happened! It turned out that the groom was already married!! I've never seen anything terrible happen at any wedding I've been to. Very happy about that. Love this series. the aisle. The bride got married minus her train. Would love to read the book. Thanks for a chance. The only thing that happened in a wedding was me crying happy tears of joy for my friend. Then she cried at my wedding. She told me I know how you felt at my wedding because I felt the same at yours. I have never attended a wedding. Anything can happen, though, when planning such an important event especially if children, animals and family are involved! Thank you for a chance to win and have a wonderful holiday! I went to a wedding on Friday the 13th. The dresses were not done and had to be completed hastily. Some were sewn into their dresses. The best man fainted and fell off the altar. Then the groom was called back by the Army and left for overseas. At another wedding, the cake was delivered to the wrong venue. Reagan getting married and solving yet another crime wave? Can't wait to read it! My flowers weren't there. They claimed no one was at the church at the agreed upon time, although I was there. My mother was running around placing the flowers around in front of the guests when they finally arrived. We were only a little bit late starting. Not too bad, since we've been married for 45 years. When my brother got married, I was the maid of honor. When it was time for the best man, my cousin, to hand the rings over to my brother, my cousin handed him some cigar bands. I am pretty sure only the bridal party and the pastor saw what was going on but the congregation probably wondered what we were snickering about and what the delay was. It was pretty funny! We celebrated our 26th a couple days ago. We call our honeymoon Snowmageddon. The whole reception ended abruptly when everyone realized a blizzard had hit while we were inside partying. That was just the beginning of the weather trouble! ;) I love this series. Cannot wait to read the next book! It worked this time!!! Thanks for the opportunity to win. The alarm on the door of the wedding ch as pel where we got married went off during the ceremony. Thankfully, I have never seen anything bad happen at a wedding. I did have a friend, though, who wanted to take outdoor pictures on her wedding day and it was raining. mcastor07(at)gmail(dot)com. I'll never forget the wedding of a friend from college my Junior year. The bride was beautiful...and about 8 months pregnant! As she walked down the aisle her heel stuck in the white plastic lining it. Meanwhile a child, who I don't think was part of the wedding, was running around the organ screaming. When Mary finally made it to the altar the organist began to sing-completely off key! My friends and I (all theatre majors who could sing, and sing well) needed a drink after that one! Pouring down rain on a outdoor, open to the elements wedding. Cake fell over. Outdoor wedding and rain. Marlene Ezell here. I was a bridesmaid at my cousin's wedding. Her brother who was 6'8" tall was an usher. He and I were paired to leave the church ceremony together. Well, as we were marching out, Bobby started to faint and ran into a pew, so I had to practically drag him out of the church. At my sister's wedding the friend making the cake had it fall over in her back seat on the way to the wedding. Fortunately we put the bad side away from the guests. Haha, the only bad thing I've seen was at my own. My grandpa, God rest his soul, kept sneaking into the church kitchen and eating the reception food, and my mama kept chasing him out!! Seeing the bride dressed all in black because it was "slimming" was pretty weird. I was in a wedding and the air conditioning in the church went out. They had to open the windows and bees came in and attacked our Bouquets that the Bridesmaids were carrying. So that left us with beating off bees while the wedding was going on in front of the church. Hope I'm not too late to leave a comment. When you work overnights, and sleep days, it's all upside down. Would love to win a copy. I was the matron of honor at my now former friend's wedding. She left me in a hotel room by myself the morning of the wedding, with no car and then showed back up an hour before. I hadn't eaten and almost fainted during the ceremony. The groom got drunk Before the ceremony. Just awful. Not surprisingly, they are now divorced. Thanks for the chance to win!! I so enjoy how you portray Savannah and the South. The humor in your books never fails to lift my mood. Appreciate the opportunity. Anyone who posted above and would like a Lethal In Old Lace tote send me your mailing address DuffyBrown@duffybrown.com and I’ll send one along. Hugs. A wedding kiss that went way too long. Is that a border collie? I am a pastor, so I've seen lots of crazy things at weddings. The worst was the organist forgetting to show up, when he finally got there, 30 minutes late, he played the Wedding March, which the bride was totally opposed to having at her wedding. It was awful for all of us. I'd love a tote and a chance to win a book! Thanks! ljbonkoski@yahoo.com Mailing address: Lori Bonkoski 1215 7th St. SE Apt. K2, Puyallup, WA 98372. The church bells rang in the middle of my wedding and we had to wait for them to end before continuing with the service. I didn't mind but my mom really did! My outdoor wedding it rained the whole time... everyone ended up standing with umbrellas as they couldn't sit on wet seats, and i walked down isle along with whole wedding party, all sharing random umbrellas too.